Hundreds of noisy protestors gathered outside the country’s highest court during Kavanaugh’s private swearing-in ceremony. Hours after he was confirmed by the U.S. Senate, Brett Kavanaugh was sworn-in at the Supreme Court Saturday in a private ceremony. 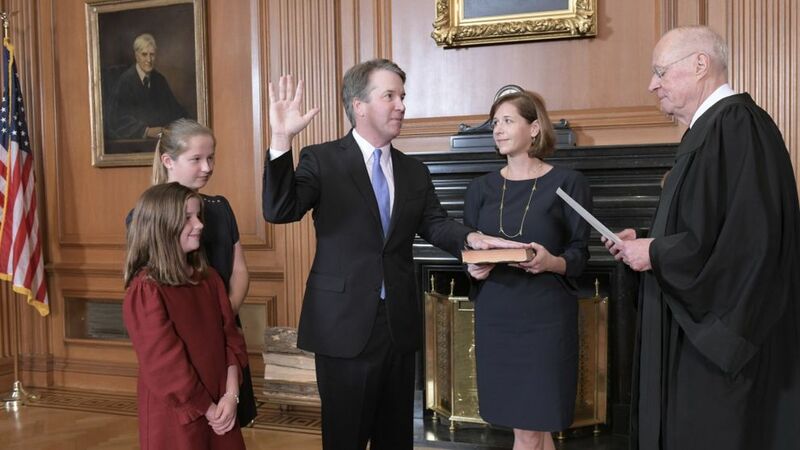 Kavanaugh was sworn-in by Chief Justice John Roberts and the man he will replace, retired Justice Anthony Kennedy, Reuters reports….